What type of workshop would you attend - or would you like to see come to Casa Grande? Your input is important to me. GIFT YOURSELF THIS WORKSHOP FOR CHRISTMAS. Begin the new year in balance! 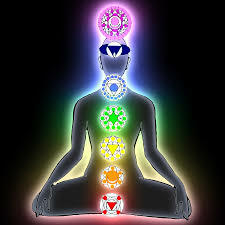 Join us for a chakra tune-up. We will de-mystify the 7 main chakra energy centers in the body and help you to understand how their balance or lack of balance can affect your well-being. You will learn all about each chakra, signs of imbalance and how to bring each one back into balance. In class we will be using sound (gong vibration and mantras), yoga postures, hand mudras, essential oils, gemstones and affirmations to align and tune up your chakras. You will leave feeling renewed, empowered and balanced. The cost of this class includes your own set of 7 gemstone charged essential oils (in carrier oil), 7 chakra balancing gemstones, and a set of Chakra affirmation/easy reference cards. *If there are less than 10 people signed up by January 7, the class will be cancelled. (Checks will be held until 10 people have signed up.) Limited to 20 students, so sign up early. ​Practicing gratitude or being thankful for the good in our lives can have a tremendous effect on our health and sense of well-being. We will begin the class with a gentle yoga session focusing on gratitude for our bodies. Then you will learn several different gratitude practices and you will create your own customized gratitude journal. This class is the perfect way to bring more joy to this season of gratitude. *If there are less than 10 people signed up by December 1, the class will be cancelled. (Checks will be held until 10 people have signed up.) Limited to 20 students, so sign up early. Are you interested in meditating but are not sure how to begin? Have you tried to meditate in the past and not been successful or able to maintain a practice? Then this is the class for you! You will learn the basics of meditation and also experience several different techniques or ways of meditating so you can find one that works for you. We will explore moving meditation, guided visualization meditation, mindfulness meditation, loving kindness meditation, creative meditation, mantra meditation and more. Come join us and deepen your spiritual connection. This class will end with a yoga nidra and gong meditation (no experience necessary). *If there are less than 10 people signed up by November 1, the class will be cancelled. (Checks will be held until 10 people have signed up.) Limited to 20 students, so sign up early. A home blessing can be a lovely way to fill your home with positive, joyful and harmonious energy. This class will begin with a gentle yoga practice designed to clear and renew the energy within the home of your body. Following this beautiful practice you will learn a variety of approaches, drawn from many traditions, that will allow you to clear out old, discordant or stagnant energy from your home. You will also learn several approaches to blessing your home and enhancing the energy you desire to have within your home. In this way, you will be able to pick and choose aspects and approaches that resonate with you and create your own personal house blessing ritual. 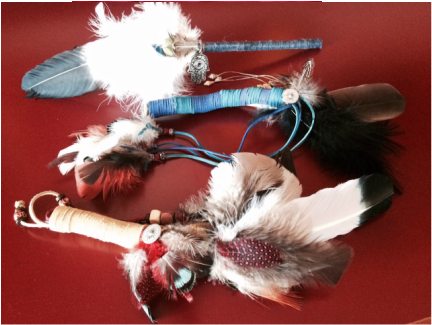 To end our class you will create a unique feather smudging stick to use in your home blessing ceremony. CHECKS MUST BE RECEIVED BY OCTOBER 17, IN ORDER TO PURCHASE SUPPLIES FOR THE CLASS. "Your mind is a garden, your thoughts are the seeds. You can grow flowers or you can grow weeds." Through a gentle yoga practice (no yoga experience necessary) we will prepare our bodies, minds and hearts to be in a sacred space for creating meaningful intentions for our lives. Through a step by step creative process we will learn a powerful way to make intentions and become co-creators in designing the gardens of our lives. We will create something tangible to take home with us, which will help keep the intentions in the forefront of our thoughts. Join us for a gentle, heart opening, yoga practice to enhance creativity and expand our inner world, followed by a writing exploration to transcribe our discoveries. No writing experience necessary. No yoga experience necessary. There are no rules, no grammar, no punctuation, no spelling, no grades, and no structure for writing. Bring paper or your favorite journal...a yoga mat and bottle of water.